I have a very special guest for you today. Each month, I guest post at Fiction University, a site overflowing with helpful information for writers at all stages. 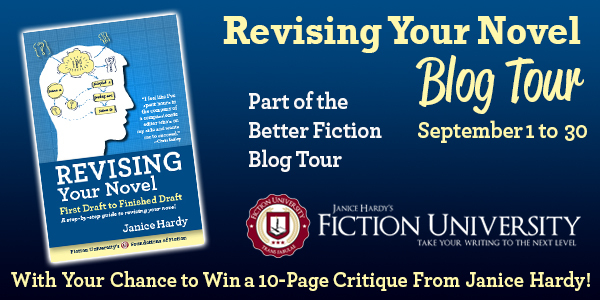 Fiction University is owned by Janice Hardy, and this week, I’m honored to have her here to share some wisdom with you. Confusing tension with conflict has probably caused more frustration than any other aspect of conflict, because these two are so closely linked they seem like the same thing—except they aren’t. You can have conflict without tension, and tension without conflict. Struggling over which boy to go to prom with is a conflict, but if there’s no sense of anticipation about that choice, there’s no tension. Sexual tension between characters keeps readers interested, even though there’s no conflict since both parties want the same thing. The tension comes from the anticipation of how they resolve that attraction. Tension is the reader’s need to know what happens next, and the sense that there’s more going on than meets the eye. It’s the anticipation of something about to happen, good and bad. That’s it. Conflict creates tension by putting a character into a situation where the outcome is uncertain, and readers anticipate what will happen or what will be discovered. While all of these examples can be filled with tension, there’s no opposition, no struggle, and no choice to be made to resolve any of them. Eagerly waiting for the next summer blockbuster to come out has tension, but no conflict. Trying to decide if you’ll go see the movie on opening night, even though your best friend can’t go with you and you promised to see it with her, is conflict. It offers a choice—see the movie or hurt the friend. Some scenes can get by on tension alone, and the fun is in the anticipation of what’s to come, not the uncertainty in what might happen. Certain genres, such as romance, keep readers hooked even though everyone knows the outcome of the story. Gut-wrenching conflict isn’t needed in every scene, though there will be conflict throughout the book. Other genres, such as thrillers or mysteries, focus more on the uncertainty of the outcome to entertain readers. Both are valid ways to write a novel, which is why it’s important to know when using tension, conflict, or both is the best thing for the scene. 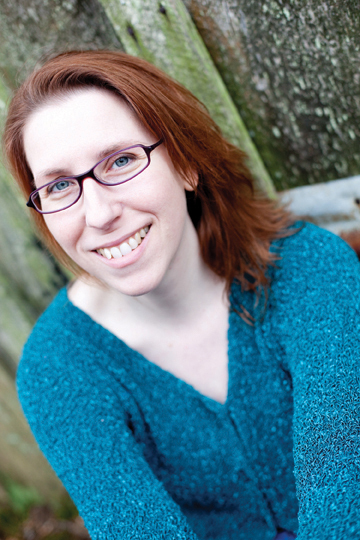 Is there opposition to your protagonist’s goal? Conflict exist when something or someone is preventing the protagonist from getting what she wants. If there’s no opposition, there’s no conflict. If the whole point of the scene is to overcome or achieve something, that opposition is critical to keeping readers engaged. Is this opposition creating a challenge to overcome, or just an obstacle to get past? It’s not uncommon to see an obstacle in the way of the protagonist’s goal and think the scene does indeed have conflict. But obstacles in the way aren’t usually good conflicts. If the result of the scene is the same even if the protagonist hadn’t encountered the obstacle, it’s not actually a conflict. This is one of the more common conflict issues, especially in plot-heavy novels. Getting past the obstacle doesn’t mean anything, even if it’s fraught with tension. What’s driving the reader’s need to turn the page? A good conflict/tension mix will have the anticipation of what’s to come with the uncertainty of how it will turn out. The conflict creates the uncertainty (typically making the protagonist struggle with a choice on what to do), and the tension creates the need to know what happens next. It’s not always easy to be objective about our own writing, but take a step back and consider why a reader would want to read the scene and what would make them want to keep reading. If they skipped the scene, would it really matter? If the answer is no, odds are the scene needs more conflict. Is the outcome obvious? If there’s anticipation but no problem to overcome, the outcome of the scene will likely be obvious. There won’t be a choice to make, or a challenge to face, because there’s no conflict preventing the protagonist from acting. The critical element here—is the reader interested in how the protagonist gets to that obvious outcome? For example, knowing the kiss is coming is obvious, but the fun is in watching the courtship dance to get there. Tension without a lot of conflict can work just fine in this situation. But watching the protagonist struggle to disarm a ticking time bomb readers know from the start she’ll disarm lacks tension and conflict and just makes readers wait unnecessarily. 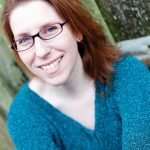 What’s the challenge facing my protagonist? If there’s no challenge, and no struggle to overcome that challenge, you might be using tension instead of conflict in the scene. Conflict works with tension (as well as stakes, and a slew of other things) to put characters into situations that make readers want to know what happens next, and thus read the novel you worked so hard on to find out. What challenge does your protagonist face? Looking for more tips on creating conflict? Check out Janice’s latest book Understanding Conflict (And What It Really Means), an in-depth guide to how to use conflict in your fiction. Janice Hardy is the award-winning author of the fantasy trilogy, The Healing Wars, and multiple books on writing, including Understanding Show, Don’t Tell (And Really Getting It), Planning Your Novel: Ideas and Structure and Revising Your Novel: First Draft to Finished Draft. She’s also the founder of the writing site, Fiction University. For more advice and helpful writing tips, visit her at www.fiction-university.com or @Janice_Hardy.